MVP? Martial Artist? Read on! Over the eight years I spent as a Microsoft MVP I was honoured to meet so many wonderful people, fellow MVPs and Microsoft employees alike. While we are usually viewed as IT Pros, Developers, experts in our field, I have learned that none of us is one-dimensional, and often have a lot of other interests in common. For example, I am a martial artist, and I know that many other Microsofties and Microsoft MVPs are as well. Some probably do it for sport, others for much different reasons. Of course there is probably not a martial artist in the world who does not know and respect (revere?) Bruce Lee. In November many of us – a great many of us in fact – will descend upon the Seattle / Redmond / Bellevue area for MVP Summit. 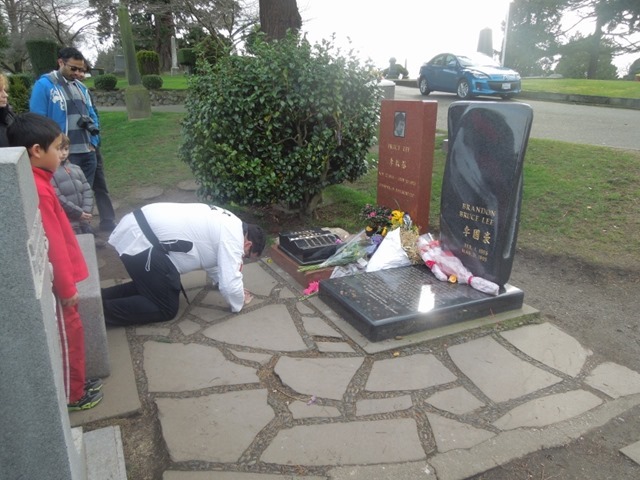 During my past few visits there I have made it a point each time to visit the grave of The Dragon, Bruce Lee. Eighteen months ago, at the last MVP Summit I attended, I spoke to a few people informally about it, and they wanted to go… but nothing came of it, and I went with a friend. For the time being I have not given any thought to how we would get there, and that would ultimately depend on just how many of you reply that you want to go. However I think the best day to plan it is either Sunday November 2 or Friday November 7. If you are interested, please reply here… and send me an e-mail to MVP@garvis.ca. I am looking forward to seeing so many of you at the upcoming Summit… See you then!